At The International 2016, alongside Underlord’s release into Dota 2 (completing the original roster of heroes from the first iteration of the MOBA) we were told a new hero was on the way. Not a two-year late port, a brand new hero, hitherto unseen in the forests of the Dire or Radiant jungle. That hero is to be Monkey King. Related: the best Dota 2 heroes to play as. 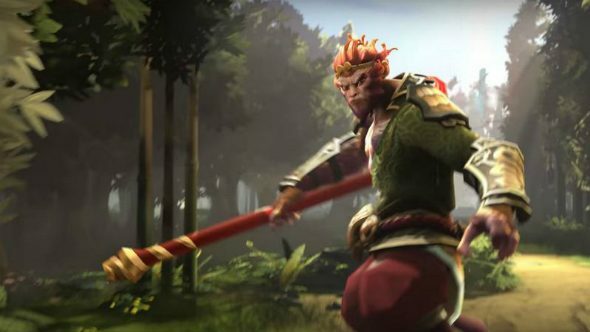 However, as it turns out, it’s not strictly true that Monkey King will make his first appearance in Valve’s Dota 2 as Sun Wukong can be found in every MOBA under the sun, including the original Dota’s beta files. 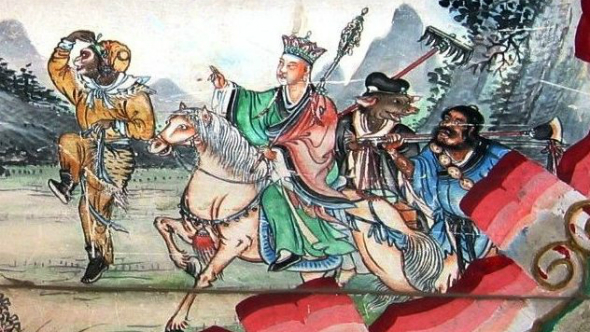 So what other clues can we unearth to learn everything there is to know about Monkey King? Monkey King is to be released in the Journey update, which had a classic Fall 2016 release date on it at its TI6 reveal. As it is to be the first large patch since the end of The International, Valve are taking their time until the Dota 2 Major tournament in Boston is over – they don’t want to throw any big changes as a curveball for the pros. Luckily, the Boston Major ends on December 10 and Valve have said the next patch will arrive shortly after. “Our next update will come at the tail end of fall, on December 12, 2016,” the team wrote in the announcement post for this season’s Battle Pass. It turns out Fall isn’t actually over until December 20 in the northern hemisphere, so if you look at it one way, Valve are actually early? Jinxed it now, haven’t I? Right, now onto the monkey in the room: Dota 2’s first original hero, Monkey King. He has an arcana available, with some very pretty alternative styles, as well as a specially themed Chinese map to celebrate his arrival, but it’s the abilities we’re most interested in. Monkey King slams the earth in front of him creating a straight line of critical damage which also stuns his opponents. Wukong can jump from treetop to treetop able to traverse the jungle quickly and in unconventional routes. Monkey King chooses an area on the ground to jump to from the top of the tree he is perched on. Enemies in the landing area take damage and are stunned depending on how long the ability was channeled for. Allows Monkey King to imbue his staff with power after a certain number of strikes on a single enemy, providing bonus damage and lifesteal for a certain number of attacks. Monkey King can change into the form of runes, trees, a courier or even dropped items (such as Iron Branches) in order to deceive or elude enemies. Monkey King summons an army of stone soldier clones in a massive AoE around him which will fight any enemies that stray near to them. The legend of Sun Wukong is one of the most enduring from East-Asian history, of a Monkey statue brought to life and given incredible fighting strength by the power of Taoist practices. As one of the protagonists of the 16th century Ming dynasty novel Journey to the West, Wukong travelled across the continent to aid Buddhist monk Xuanzang in obtaining three sacred texts to return home with. Among Wukong’s unique powers are his flying cloud, Nimbus, a magical Bo staff and his hair. Each of his hairs possess magical properties, capable of being transformed into clones of the Monkey King himself, just as in the teaser trailer. He can also somersault over 13,000 miles. His staff, called Ruyi Jingu Bang (如意金箍棒, The compliant golden-hooped rod), was a red and gold-adorned staff which could transform at Wukong’s will to be small enough to tuck behind his ear, or large and heavy enough to break open mountains. This staff may be recognisable to any Dota 2 player as the Monkey King Bar, which grants extra damage and, most importantly, true strike to its owner. After he had been trapped in Bagua Lu (八卦爐, the gossip furnace) for 49 days, his eyes were refined into Jin Jing Huoyan (金睛火眼, fiery golden eyes), granting him the ability to distinguish demons from humans, also known as True Sight. Using this sight he is also able to see through the trickery of evasion and hit even the slipperiest of foes. Whether this True Strike / True Sight power will be innate to him as a passive ability in some way is just another mystery waiting to be solved by his release.